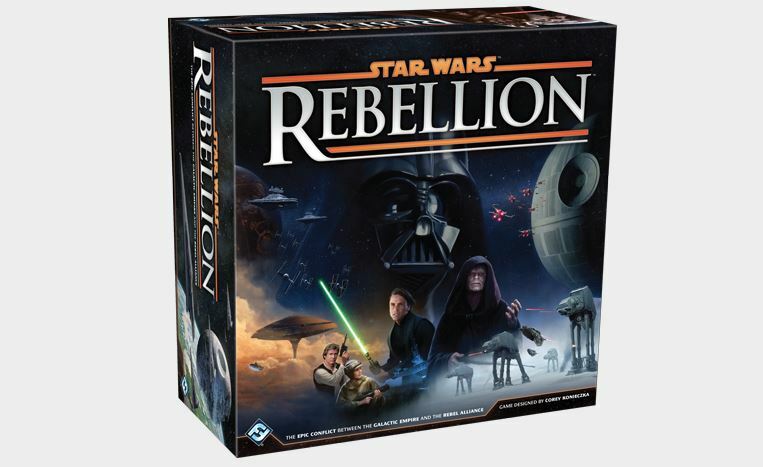 Fantasy Flight Games has posted a preview of their upcoming Star Wars board game, Star Wars: Rebellion. While everyone's focus lately might be on the latest installment of the series, that's not to say that the originals are being left out. Oh no. Take control of either the Galactic Empire or the Rebellion and fight to either liberate or subjugate everything before you. This preview focuses on the win conditions for the two factions. For the Imperials to win, they must find and destroy the Rebel base. Of course, that's a lot easier said than done, as the Rebels are going to do their best to hide their base well. As for the Rebels, we all know that just destroying a Death Star isn't going to cut it. They have to garner enough sympathy for their cause in order to overthrow the government. As such, they have a Support tracker that sits on the game timer track. If the time and the support ever meet up, the Rebels cause their revolution and win. Stay tuned for more previews coming soon.